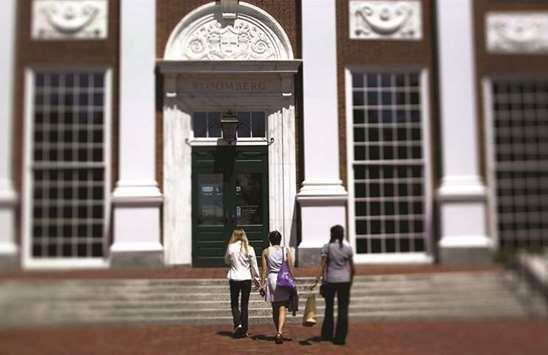 (MENAFN - Gulf Times) Harvard University is trying to sell some of its timberland investments in South America to investors who will share management of the portfolio as the endowment retreats from bets on natural resources. Harvard Management Co has approached investors to buy minority or majority stakes in as much as $700mn of property in Brazil, Uruguay and Argentina, and become strategic partners at the same time in an effort to reduce the endowment's risk, according to people familiar with the matter. The $37bn endowment hired investment banker Jonathan Prather from Perella Weinberg Partners Group in February, according to the people, who asked not to be identified because the information is private. Perella Weinberg declined to comment. The move is the latest step in an overhaul of Harvard's endowment that began in 2016 when the Ivy League school hired Narv Narvekar from Columbia University as investing chief. Narvekar cut the organisation's headcount by almost half, shuttered internal hedge funds, spun out money managers and sold more than $2bn of buyout and real estate funds. Narvekar is trying to revamp the natural resources strategy after predecessors made a big wager on the asset class that initially produced solid returns but later backfired. Last year, Harvard wrote down the portfolio by $1.1bn to $2.9bn, a loss that included a decision to exit from one of its farm projects in Brazil where it invested at least $150mn. The portfolio 'will take multiple years to reposition, Narvekar wrote in a September report, adding that 'while most assets remain attractive, a few have significant challenges. He began unloading properties last year, agreeing to sell a dairy farm in New Zealand with 5,500 cows to private equity firm KKR & Co for $70mn and a eucalyptus plantation in Uruguay to insurer Liberty Mutual for $120mn. The portfolio is still vast, including farms in Australia, South Africa and Brazil, as well as vineyards in California and timberland in Eastern Europe and throughout Central and South America, according to tax documents and other filings. Like other parts of the endowment Narvekar inherited, the investments were made directly instead of through external money managers, a more common approach among peers. Harvard still has a team overseeing the portfolio. It's led by Colin Butterfield, who was hired in 2016 from Radar, a fund investing in agriculture in Brazil backed by retirement money manager TIAA. 'To best serve Harvard, HMC will take a level of risk appropriate for Harvard, Narvekar wrote in a January 2017 report. 'Our returns will ultimately follow in our chosen path rather than in the path of any other specific endowment, which might have a different risk tolerance and a different mandate. The timberland holdings up for grabs in Brazil, Argentina and Uruguay consist of eucalyptus, teak and pine plantations, according to tax filings and other documents. The properties are owned through shell companies and managed by independent firms. The most valuable properties are in Uruguay and Brazil. Harvard owns timberland in Chile, Colombia, Ecuador, Nicaragua, Panama and Peru as well, according to documents. These properties aren't currently being shopped in the proposed deal, the people said. Investment returns on timberland cooled in the last decade as emerging markets such as Brazil faltered and growth in China moderated. An index for US timberland shows uneven gains since the recession ended in 2009, preceded by years of double digit returns driven by the housing boom. Still, some investors see opportunity. The Rohatyn Group last year acquired control of a $2.1bn portfolio from Boston-based money manager GMO, whose co-founder Jeremy Grantham was an influential champion of investing in emerging market agriculture. Nicolas Rohatyn, the company's CEO, said last week at a timberland investing conference in New York he was looking to acquire more assets. Liberty Mutual has also been active in the sector. The insurer hired Qinhai Xia from Harvard Management last year as a director of agriculture and timberland investments. Xia reports to Avtar Vasu, another Harvard Management veteran hired by Liberty Mutual in 2016. A Liberty Mutual spokesman declined to comment on the company's investment activities. Another entrant is Folium Capital, launched last year by Andrew Wiltshire, Alvaro Aguirre and Oliver Grantham to invest in farms and forests. The three left Harvard Management in 2015 after spearheading the natural resources strategy that is now under scrutiny. Grantham is Jeremy Grantham's son.